You may be thinking, “ummm, this Home Bar Girl is a little obsessed with Bourbon.” Well, now that it’s Autumn I sort of can’t help myself! I want to use bourbon all the time, errrry day, errrry night. The name for this drink is from a song in Johnny Appleseed, a Disney animated short released in 1948. As a child, I watched Johnny Appleseed countless times and loved to sing along to this song. Upon taking the first sip of the cocktail and tasting the apple notes, the cartoon rushed back to me. Ah, memories. 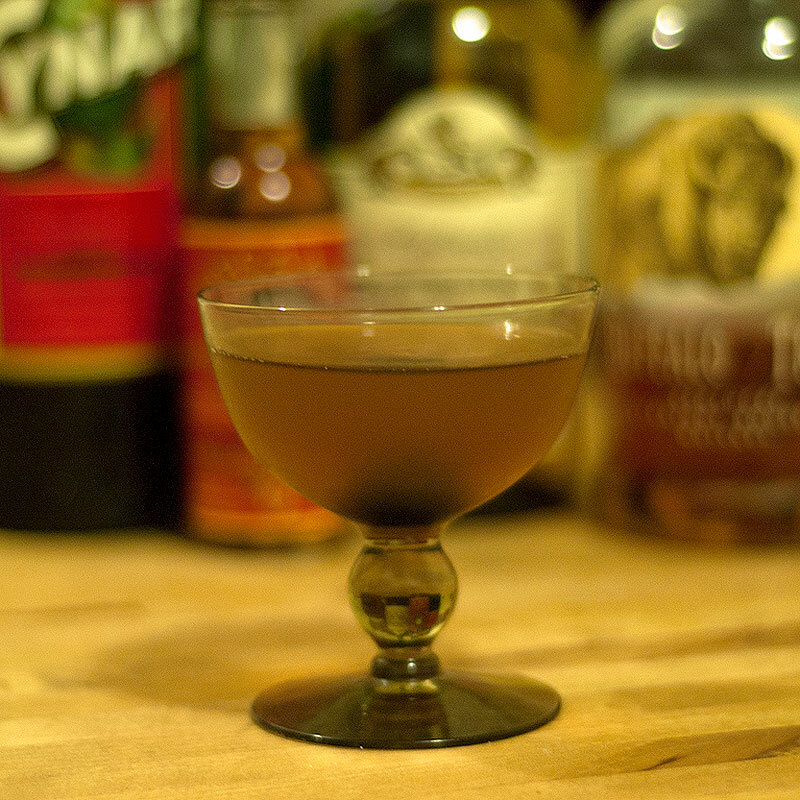 In tin, combine Calvados, Bourbon, Honey Syrup, Cynar and bitters. Stir and strain into chilled coupe. Garnish with Maraschino Cherry.